You can add figures for your project's current and estimated investment, as well as your market size data. To edit this, click the three dots next to Evidence to bring up your Project Menu, then click Overview. 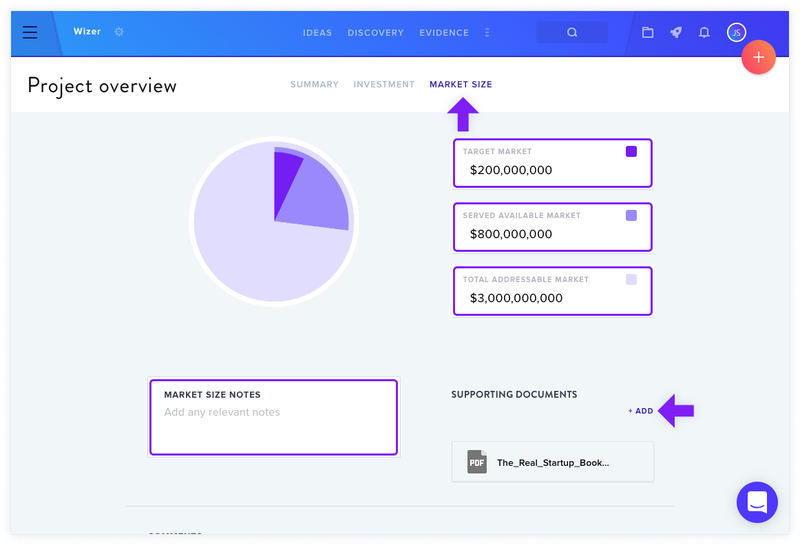 In the Investment tab, enter the current amount of investment your Project has received, as well as the estimated total you're expecting to generate below. These edits are automatically saved. You can add supporting documents such as reports or spreadsheets to support your reasoning. In the Market Size tab, enter your Target Market, Served Available Market, and Total Addressable Market figures. Changes are automatically saved. 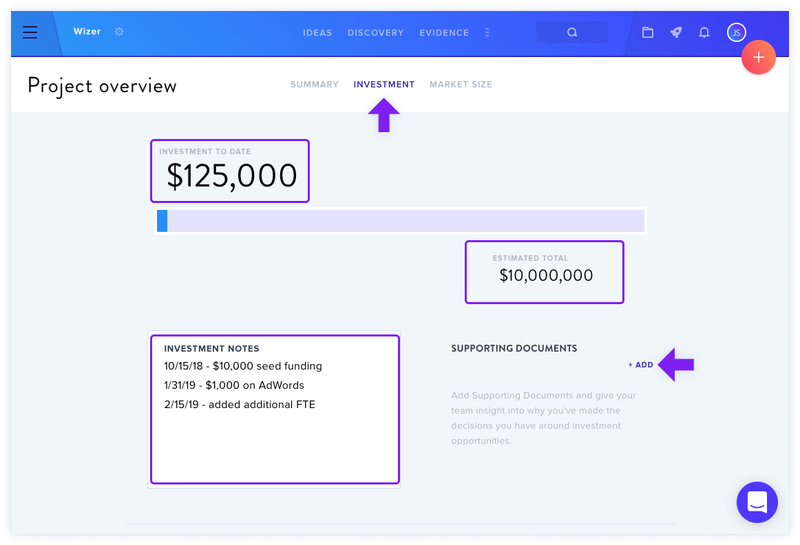 When you update your Project Financials, the changes will also be reflected in the Project Dashboard. 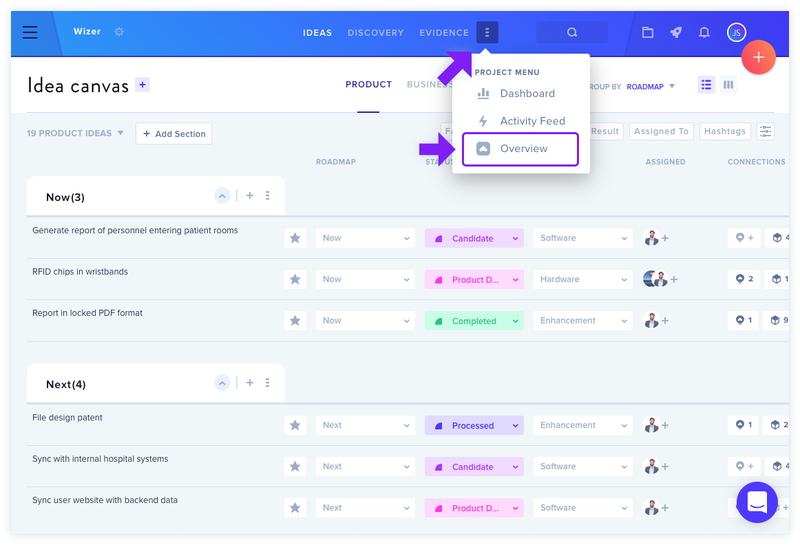 Click here to find out more about customizing the Project Dashboard fields.